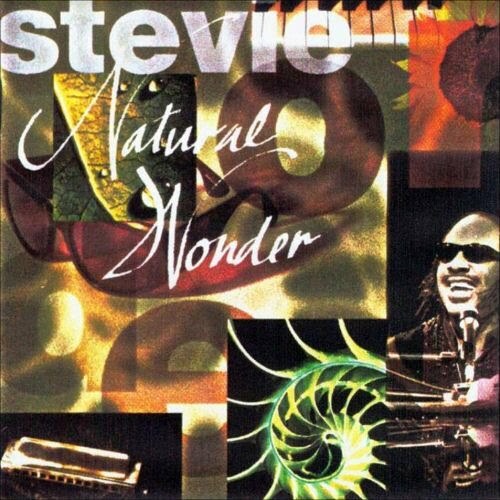 Natural Wonder is one of the few opportunities to hear in live formally to Stevie Wonder. This is a double album recorded in his concert with the symphony orchestra in Osaka (Japan) and Tel Aviv (Israel) in the year 2004. 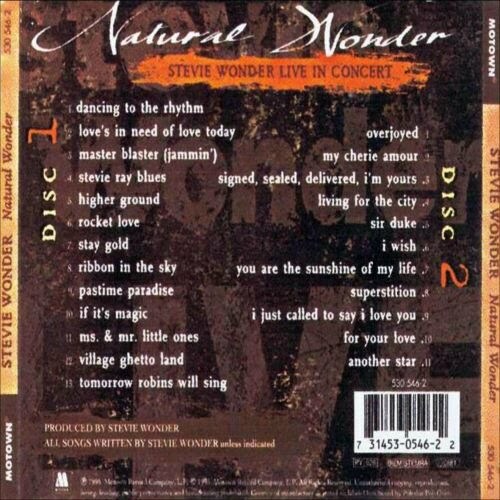 An overview of its extensive discography full of good songs, with arrangements and instrumentation of real sounds played by symphony orchestra, including four new songs, "Dancing to the Rhythm", "Ms. & Mr. Little Ones", "Stay Gold" and the instrumental "Stevie Ray Blues". A good album what serves as a pretext for an international tour that will take you to traverse a large number of countries worldwide.